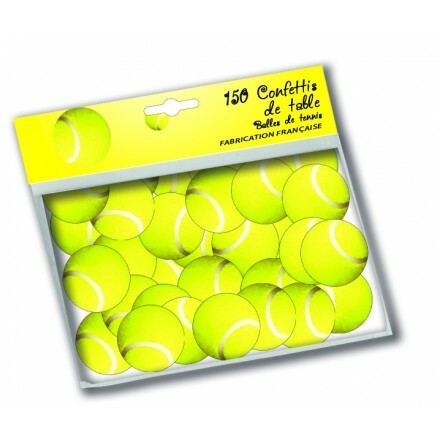 Need any Wimbledon tennis party supplies ideas? 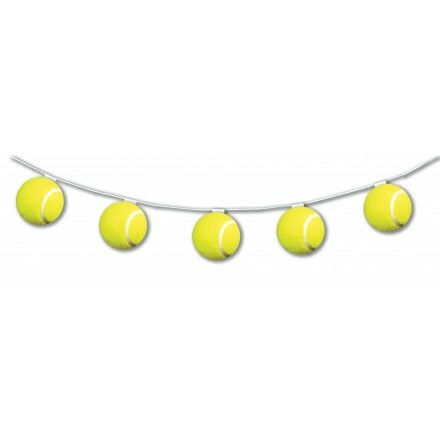 Buy online our flame-retardant tennis ball bunting, our flame-resistant tennis hanging swirls or tennis ball confetti for a magic table decoration. 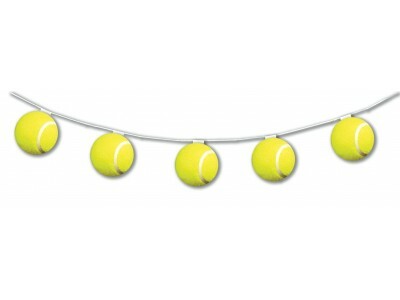 Perfect for Pubs, restaurant, hotels, our original Wimbledon themed tennis party decorations are top quality! Wimbledon Tennis banner flame-retardant paper, 3.20m lengths 8 balls 17cm diameter, printed both sides. Top quality bunting. 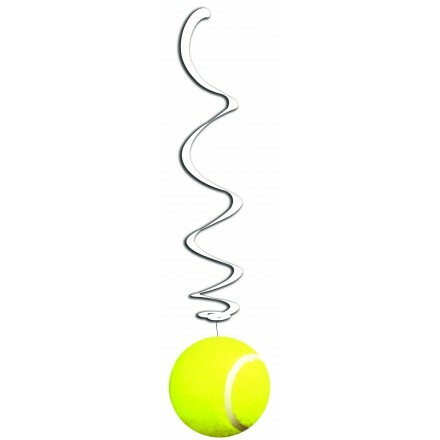 Wimbledon tennis hanging swirls, pack of 6, flame-retardant paper tennis balls, flame-resistant foil white swirls, about 80cm long, perfect to hang from the ceiling. Wimbledon Tennis Confetti, circle shape, 25mm diameter, printed both sides, perfect for tennis table decoration. Bag of 150 confetti.